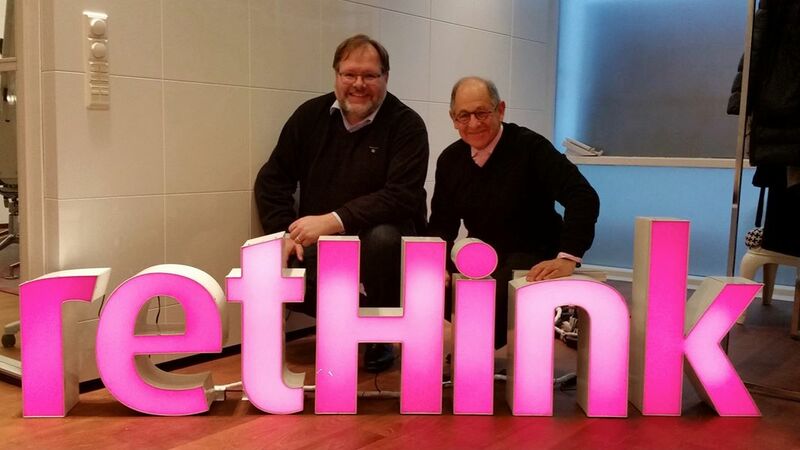 l. to r. Global ‘Positive Disruption’ leader D11’s CEO, Juha Tiihonen & Mobilium Global CEO, Ralph Simon in D11’s Helsinki HQ having a major Rethink. Juha & D11 are one of the world’s most respected thought leaders in mobile strategy, corporate positive disruption and how to re-think an established business for today & tomorrow’s challenging tech times. A great start & a wonderful Finnish.